Steve Hansen was right: New Zealand didn’t play that well in the Christchurch test. Some of that was forced on them by an aggressive, hard-nosed Irish performance, but they also made a number of unforced errors. Ireland didn’t perform cleverly or with the required level of concentration and aggression in a number of areas in the Auckland test [especially after the first half hour] and as a result handed New Zealand not just the result, but also the big performance. England caved in a similar way in Lansdowne Road in 2011, and let Ireland play close to their potential. It’s not something that only Irish teams do; it can happen to a lot of teams. South Africa let Australia run up a 31-6 lead in the first half hour of the cracking Tri-Nations 2010 closer. Their intensity and organisation was nowhere near the pitch it should have been at, and they made the Wallabies look like one of the greatest teams to ever don the gold jersey. The two sides were simply playing at different paces in the first twenty minutes: Australia roaring away at 100mph in flashing color, and the Boks stuttering and hesitant in black and white. However, South Africa came out and played a different, far more focused game in the second half with big performances from the totems in their pack – Smit, Matfield, Burger and Smith – to lead 39-38 with a minute to play until Kurtley Beale’s last-gasp long-range penalty took it away from them. Experienced players can do that for a team. They can take control of the game and enforce their will on it. Dean Ryan talked about the intensity – that word again – of southern hemisphere test rugby in reference to the way that England got bossed by the Boks in the first twenty minutes at Ellis Park on Saturday. Big personalities like Bismarck du Plessis, Willem Alberts and Frans Steyn got on the ball a lot and bent the English to their will. Ryan’s well-made point was that there’s an emotional pitch that is more important than playing patterns when you go up against these traditional heavyweights on their home turf. If you’re not ready to go toe-to-toe against the All Blacks or the Springboks when you’re playing them in their own countries, they’ll tear you up in their traditional style. The Boks will bash you and the All Blacks will cut you up. Waikato Stadium, home of the Chiefs and the venue for the third test. Aaron Cruden has played extremely well for the Chiefs in Super Rugby, and while Carter leaves big shoes to fill, he’ll be playing in a stadium he’s familiar with in front of a lot of familiar faces. One of the aspects of touring southern hemisphere countries that probably doesn’t sink in unless you’re actually out there is that the tests are played in different venues across the country. The Boks play games in Kings Park, Durban; Ellis Park, Pretoria; Loftus Versfeld, Johannesburg; Newlands, Capetown; and sometimes in Boet Erasmus in Port Elisabeth or in Bloemfontein. The All Blacks have a similar situation. Ireland played the first test on the north-west coast of the North Island in Auckland, the second on the east coast of the South Island in Christchurch, and will now venture back up to the North Island, inland to Hamilton. There’s no one national rugby stadium, like Twickenham, Lansdowne Road or Murrayfield. As a result, home turf is an important issue – especially when you consider some of the new faces in the All Blacks team for this test. 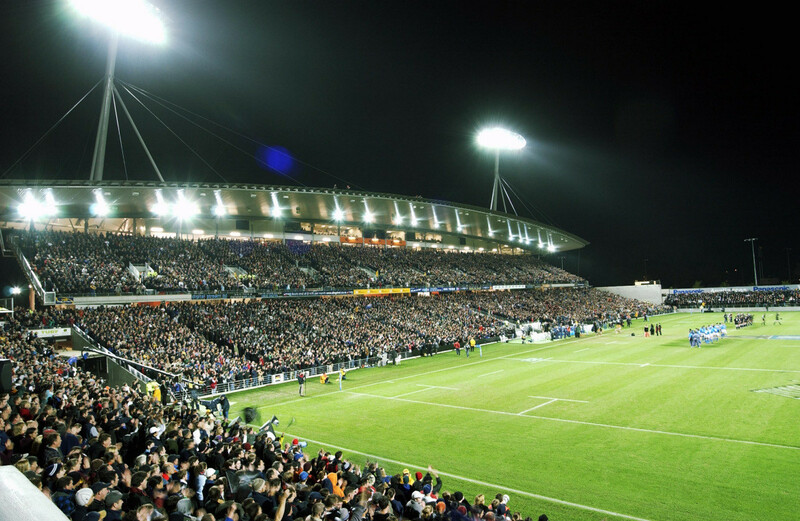 Hamilton is the home of the Chiefs [formerly the Waikato Chiefs], the current toppers of the Super Rugby log, and a number of Chiefs are parachuted into the starting XV. While Dan Carter is an enormous loss, his replacement Aaron Cruden has been playing highlight reel stuff, and will relish his chance to shine in front of his home support. Cruden and SBW have formed a cracking midfield in this year’s Super Rugby competition, and it could just be that this is the game in which the latter cuts loose. He has been well bottled up by Brian O’Driscoll, Gordon D’Arcy and Jonny Sexton in the first two tests, but Paddy Wallace might struggle in defense against an opposite number who is 11cm taller and a whopping 29kg heavier than him. Nobody should doubt Wallace’s courage, but that’s an enormous size difference. Liam Messam will be the third All Black to wear the No6 jersey in the last three tests. Neither Victor Vito nor Adam Thompson have made a particularly strong claim to the spot vacated by Jerome Kaino, so this game has particular significance for the Chiefs captain in terms of his All Black future. Liam Messam was a surprise omission from the All Blacks World Cup squad back in September, and will be looking for a huge showing to prove to Steve Hansen that he was wrong to have left him out in the first place. With 91 Super Rugby appearances behind him for the Chiefs – the most in the history of the franchise – and captain since Mils Muliaina departed for Japan, Messam is a real home-town hero. The knock against him was that he was seen as too lightweight for test rugby and that he hadn’t really found a position, but he has phenomenal wheels; he’s a dual gold medal winner in the Commonwealth Games for New Zealand in the Sevens competition [2006 and 2010] and NZ Sevens guru Gordon Tietjens rates him as one of the most naturally talented Sevens forwards he has even coached. How Messam will fit in what is not a particularly balanced backrow [two opensides in McCaw and Cane fill the other spots] remains to be seen. Thompson sits on the bench, so Hansen has a Plan B in any case. The Mole is a little surprised that Brodie Retallick is dropped though, especially in front of a home crowd. Retallick shows all the signs of being a long term All Black, and the wisdom of bringing in debutant Luke Romano ahead of him is questionable. Ali Williams is out for eight weeks due to knee surgery, but in any case, the New Zealand press weren’t exactly enamoured with his contribution to the second test; many have suggested that the upcoming surgery has saved him the embarrassment of being cut from the matchday 22. It could well be that with Williams out for two months, Hansen feels he needs to expose Romano to test rugby before the kick-off of the inaugural Rugby Championship [formerly the Tri-Nations], because I don’t think that Retallick did particularly badly in the Christchurch test. It could be that Hansen thinks that Retallick is worth more to the All Blacks at the end of the test than at the beginning, especially given how close-run the Christchurch match was. Jamie Heaslip had strong showings in the first two tests, but is out of contention due to a broken finger. Keiran Read, his opposite number in those games, is also out. Read is the best No8 in the world on current form – and the best player in the game if you’d believe his Crusaders’ coach Todd Blackadder – but with Heaslip’s absence, Ireland look to have somewhat lost the advantage of the fact that the Canterbury star is not going to be on the pitch. 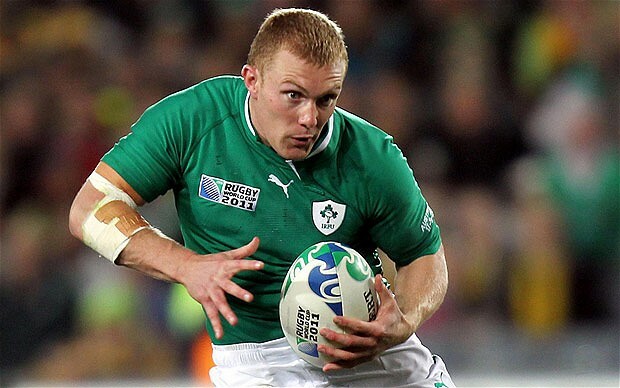 Keith Earls will add an edge which Ireland didn’t really possess in attack in the second test. Earls’ time in the centre has added to his game in terms of sharpening his passing and awareness of supporting players. He has gone on the record that No13 is his preferred position, and Ireland will be hoping that he can get off his wing and on the ball in the middle of the pitch. While there was no shortage of effort and hard work in the Christchurch test from the back three, the attacking threat was pretty blunt. As it is, Munster’s Peter O’Mahony takes on the green No8 shirt. He wore it with distinction captaining the Irish U20s in 2009, and The Mole feels that it’s the position which best suits the strengths in his skillset, namely his good hands, his ability to run with the ball and his pace in the open field. At this young stage in his career, I’m not sure that he has the ability to bust through many All Black tackles around the fringes, so it could be that he is deployed a little further out when Ireland have the ball – especially as Declan Kidney has a munchkin threequarter-line in Earls, Wallace O’Driscoll and McFadden. Paddy Wallace swaps in for the injured Gordon D’Arcy in the No12 jersey, with Keith Earls returning to the team as a left wing. Fergus McFadden’s much improved performance in the second test means that Andrew Trimble returns to the substitutes, which might be a little unfortunate: he did nothing wrong in Christchurch, but he didn’t really get the chance to shine. The Mole has little doubt that he’ll see some time on the pitch however – he’s big, physical and experienced, and giving the All Blacks a different look to adapt to in the second test was a success. The Mole sees ROG and Trimble coming on together for Wallace and McFadden respectively at around the 52-53 minute mark, with O’Gara taking over the reins from Sexton at outhalf, and the Leinster playmaker moving one out to take on Wallace’s role. 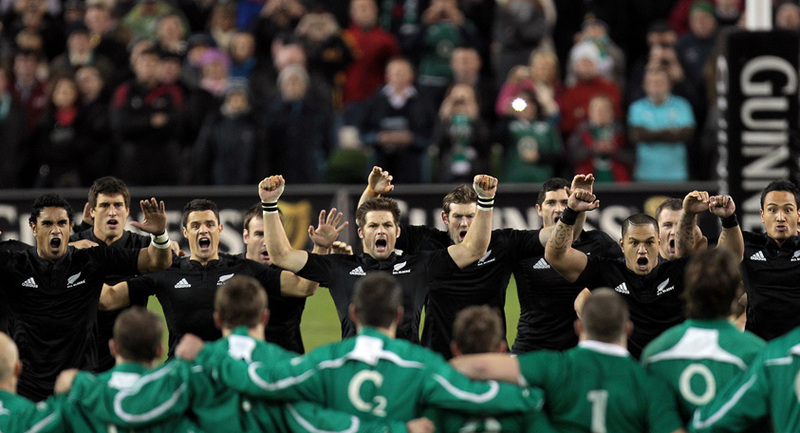 With the test series gone, Ireland have nothing to play for but that elusive first win over the All Blacks. If the game follows the pattern of the Christchurch test rather than the Auckland game, Kidney will want to have his most experienced players on the park to try and see out the endgame. Simon Zebo was never going to get on to the pitch in the last match, but Trimble will – as will Eoin Reddan and Donncha O’Callaghan. Chris Henry makes the bench for the first time on tour, and it will be interesting to see where he makes his appearance. Sean O’Brien has possibly edged Cian Healy as Ireland’s best player thus far [there’s plenty of room for argument, however] and has gone the eighty minutes in both tests. McLaughlin is a specialist blindside, and O’Mahony is making his first start at No8 … it could just be that whoever tires first is the man that Henry replaces. He’s played across the backrow for Ulster over the last two seasons and, having captained his province, is a steady head, even if he has only played one game at this level. Fresh legs are too valuable to waste at the end of a series like this, so he’ll be on the pitch at the final whistle. It’s pretty much impossible to replace players of the calibre of Brad Thorn and Jerome Kaino, especially in the short term. The All Blacks pack lacks the steel that these players brought, and with Kieran Read out and Mealamu on the bench, only four of the forwards who started the RWC11 final will start against Ireland: Woodcock, Franks, Whitelock and McCaw. This isn’t a particularly strong All Blacks side: no Carter [87 caps], no Read [38 caps], no Kaino [48 caps], no Jane [32 caps]. Mils Muliaina and Brad Thorn have retired, Ma’a Nonu is out of form and Richard Kahui is injured. Keven Mealamu is on his way back from injury and makes the bench for the first time in the series. Ireland have a decent chance … if they show up with the same level of effort and accuracy that they showed in Christchurch. Who knows if they will though? Ireland have been inconsistent since 2010. The longest string of consecutive wins they have put together since then was in the group stages of RWC 11 [22-10 vs USA, 15-6 vs Australia, 62-12 vs Russia and 36-6 vs Italy] and the quality of opponents in that list speaks for itself. We haven’t had back-to-back wins in the Six Nations since beating Wales and England in 2010. The Irish team will have seen in the Christchurch test that there are a few weaknesses in this New Zealand team – Owen Franks is a better scrummager than his brother on the tighthead side; the lock pairing is still in its infancy, with Brad Thorn’s immense physicality at scrumtime, at the breakdown and in mauling badly missed; as impressive as Sam Cane’s debut was, Keiran Read is irreplaceable; neither Victor Vito nor Adam Thomson have shown that they can fill Jerome Kaino’s blindside role; Julian Savea is a liability under the high ball. However, the All Blacks have exceptional depth, and have been able to draft in high quality replacements in a number of those positions of worry. I’d expect Messam to be just as good – and possibly better – than either Vito or Thompson; Gear is just as dangerous as Savea going forward, but more experienced in defense; Cruden is the form outhalf in Super Rugby; Ben Smith has played a lot of fullback, so will be more assured under the high ball than any winger they’ve fielded thus far. As always, this All Black team will be driven by the fear of being the first team in New Zealand history to lose a test to Ireland. It’ll be tight, but I’d be surprised if it’s as tight as the Christchurch game. New Zealand by 7-8pts. This entry was posted in Match Preview, Uncategorized and tagged Aaron Cruden, All Blacks, Brad Thorn, Chiefs, Declan Kidney, Hamilton, Ireland, Jerome Kaino, Keith Earls, Liam Messam, Paddy Wallace, Razor-sharp incisiveness and inventive lines of running, Richie McCaw, SBW, Steve Hansen, Superstar Sunny Bull Wull'yums, Waikato by dementedmole. Bookmark the permalink. Nobody enjoys a soul-crusher of a job, Cena2j – glad to give you a bit of a break from it! Chin up Cena2j – you’re almost there…. I’d like to add my thanks mole – your site is a trove of insightful and reasoned analysis and a real pleasure to read.